Controlling your dog from endlessly barking can be hard work. You’ve got many options when it comes to achieving this – check out our guide right here. If you have a working dog or a more stubborn dog, you might need a more robust solution. You obviously won’t want to cause your pet any undue suffering, though. Well, you won’t need to with the SportDOG NoBark 10R. We’ll outline where this correction device stands and falls in detail today. 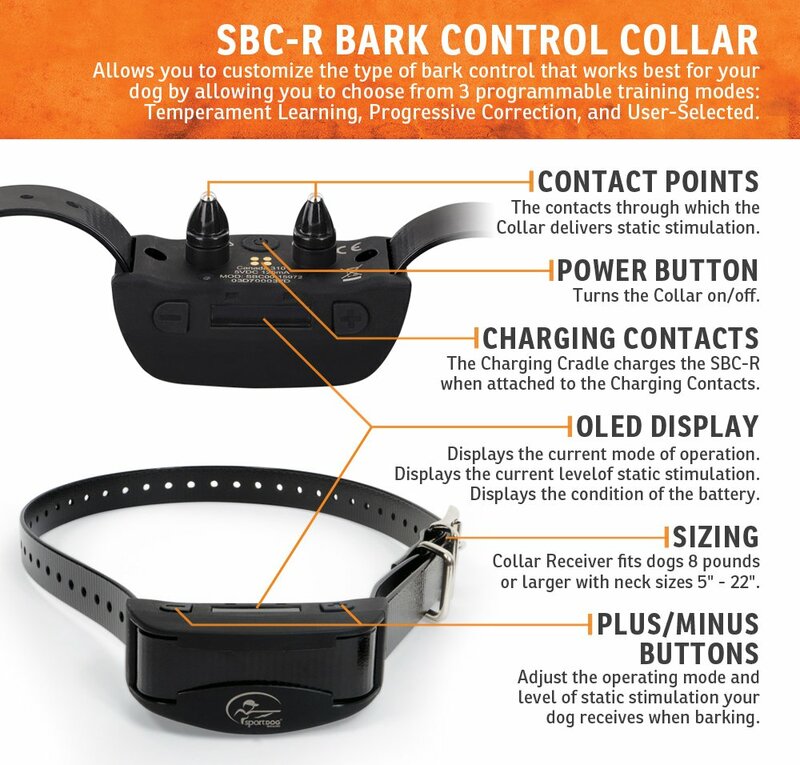 After walking you through the main benefit, pros and cons of this versatile anti-bark collar, we’ll also double down on what static correction is. We’ll launch straight in right now with a snapshot of the overall functionality of the NoBark 10R. II. What Is Static Correction and Is It Safe For Your Dog? The first decision you’ll need to make if you’re thinking of adding this collar to your supplies is which model to choose. The original (SBC-10R) is more than fit for purpose. There’s now a slimline and rebooted version (SBC-R) which brings you the same robust functionality in even leaner form. Why, then, should you use this collar to help your dog learn when and when not to bark? Firstly, we’ll drill down on the core features that make this collar stand out in a glutted market. Every dog has a unique style of barking. What for some dogs could be regular patterns of barking could be considered excessive in others. SportDOG addresses this head-on with its proprietary Silent Partner Technology. Once you’ve got the collar fitted, the tech does it work in the background. The individual style of your dog’s barking is picked up promptly and stored. This then allows the collar to tune out any neighborhood dogs barking, for example. By minimizing the false positives, your dog will only receive correction when it’s needed and educating him will be a quicker and easier process thanks to that Silent Partner Technology in place. This feature comes in especially handy if you have multiple dogs in your home. Maybe you even operate a boarding kennel. Either way, the noise filtration and tailored nature of this no-bark collar is perhaps the key selling point. Have you experimented with no-bark dog collars before then been woken in the middle of the night by a volley of barking? If so, chances are it wasn’t the collar itself letting you down but the batteries running out of juice. SportDOG overcomes this weak point with a hard-hitting lithium-ion battery that’s fully rechargeable. Firstly, you’ll make significant savings over time since you won’t need to keep buying expensive replacement batteries. Charging is super-swift with a full burst of power delivered in no more than 2 hours. Once you’re powered up, you can expect over a week of continuous use before you need to give it a boost. You’ll be able to monitor battery status on the crisp OLED display so there’s no excuse for being woken in the night ever again! No two dogs are the same so any collar offering a one-trick solution is destined for limited success. Personalization is uppermost with the SportDOG Brand NoBark Rechargeable 10R Bark Collar starting with the multiple levels of static stimulation – more on the mechanics of that shortly. You’ll be able to rotate through fully 10 levels of static correction to better manage your dog’s behaviour regardless of breed, size, or temperament. Whether you’ve got a small and docile lapdog, a feisty Rottweiler or a stubborn working dog, you’ll be able to optimize the correction in line with the variables. The way in which you use different levels of correction depends on the mode. Two of these modes take care of adjustment automatically and intelligently, the other mode affords you manual control. 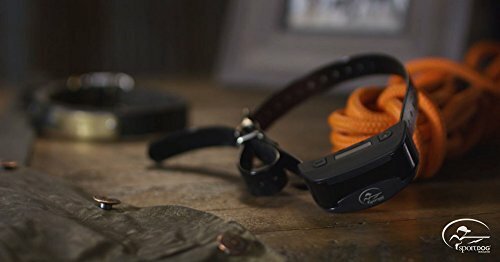 This is a remarkably flexible anti-bark collar and you can choose from a trio of specialized modes to best align with the needs of you and your dog. With this training mode, you kick off with static correction at the lowest level. Each time your dog barks less than 30 seconds after the initial bark, static edges up to the next level of intensity. If a period of stability resumes, the collar remembers the previous level so it will then kick in accordingly and administer a more robust shock. Reduction of intensity kicks in when more than 30 seconds elapses between barking. This is a very neat way to get your dog used to the collar gently with no fear of suddenly shocking him too abruptly. Similar to the first mode, with progressive correction static shock again starts at the very lowest level. When your dog barks less than 30 seconds after making a noise, the correction level increases. The difference comes when barking stabilizes. At this point, correction reverts to the lowest level rather than the previously attained level so you get a complete reset. This manual mode allows you to pick which of the 10 preset correction levels works best for your pet. Correction is constant at the chosen level until barking subsides completely. 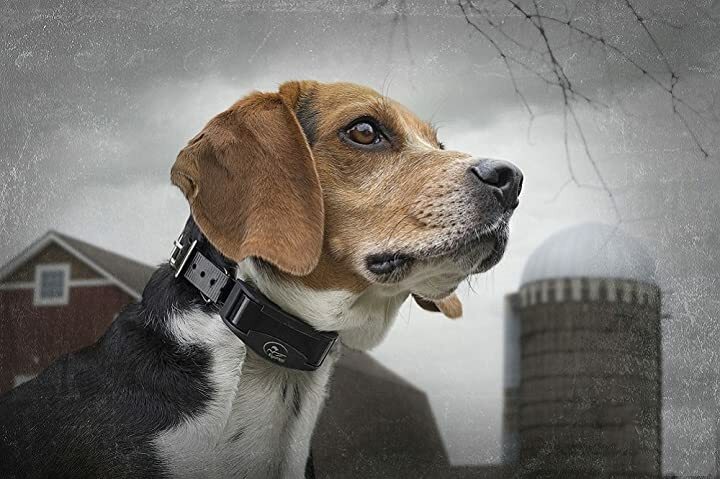 The best anti-bark collar in the world is no use if it’s not designed to work in all winds and weathers. With the SportDog NoBark, not only is the device fully waterproof, it’s also submersible to 10 feet so a walk along the beach won’t present you with any unexpected problems if you dog darts suddenly toward the water. All these collars are field-tested in adverse conditions from sludge and mud through to snow and extreme heat so you’ll get a complete all-weather package you can use year-round whatever the climate. Before we highlight the leading benefits and drawbacks of this nifty little device, what is static correction, how does it work, and is it really safe for your dog? 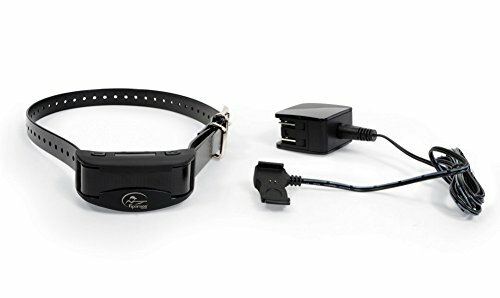 With static correction, a very mild but highly efficient static shock is delivered through a no-bark collar. These are also called anti-bark collars, shock collars, or e-collars. The correction is delivered through contact points or probes. If you think about the charge of static electricity you sometimes receive when you walk briskly over carpet then touch someone’s hand or the door of your car, this is roughly the level of shock administered to your dog. By training your dog with these relatively mild but noticeable bursts of static, they soon learn that barking inappropriately comes with certain consequences. As with any similar approach to discipline, it won’t take long for your pet to fall in line. The main concern for most dog owners still caught on the fence about this type of training method is whether or not it’s safe to use static correction. One way to experience the level of shock involved is to test the static shock on the inside of your arm. We’ll take a look now at a bulleted summary of where this collar excels and the (very few) areas where it could do with a little improvement. Luckily, using the NoBark 10R is straightforward. You’ll get everything you need included from the collar itself through to an adaptor and charging needle, lengthy contact points, and that excellent guide we mentioned earlier. Fit the collar around your dog’s neck and adjust so it’s a nish fit but not too tight. You should be able to see how your dog reacts once he’s accustomed to it and you can then fine-tune the fit to suit. Choose one of the 3 modes we broke down above so you can train your dog in the way that suits. Temperament Learning Mode and Progressive Training Mode kick in automatically. With User-Selected Mode, you’ll enjoy completely manual control. For the first pair of modes, just use the single button to select and activate them. With the manual route, you’ll also need to select the intensity level. Beyond that, all you need to do is sit back, relax and enjoy watching your movie or snoozing without being endlessly menaced by incessant barking. And you can do all this with a clear conscience and the knowledge your dog won’t be suffering on your part. We very much hope this detailed guide to the NoBark 10R has shown you precisely what this collar can do. As with all our product explorations, we’ll never shy away from showcasing where products fall down either. After all, you can’t make the best buying decision unless you’re fully equipped with the facts. As we’ve made abundantly clear, the key advantage to this device is the way you can personalize it completely. The 3 modes and 10 levels of correction make the SportDOG suitable for just about any dog up to a whopping 8 pounds and boasting a 22-inch neck. We hope, too, we’ve allayed any fears you might have harbored over the safety angle of these no-bark collars. The only way your dog will learn is with a gentle prod, but it needs to be strong enough to lead him to action. Rest assured, we’re pet lovers with multiple animals between us. The welfare of those pets is paramount and will shine through in all the products we bring you here at Meet Your Dog. We’re currently testing a huge spread of different products to bring you everything you could possibly need for your beloved fur-balls. We’ll also be building out this site with plenty of informational content to make it your go-to pet resource. Bookmark our site, follow us on social media and, most importantly, come back soon! My Name is Mary Houston. 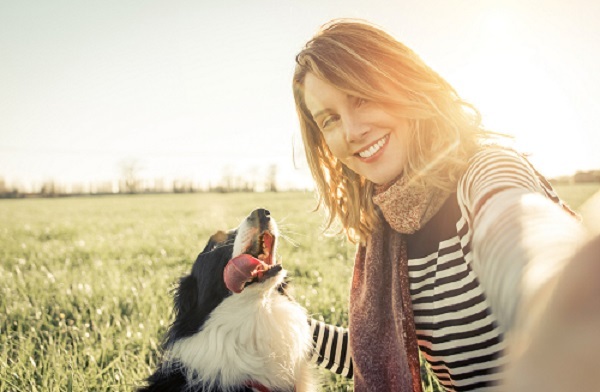 Over the years I have learned many things about caring for and training pets and I am happy now to be able to share some of that knowledge with other pet owners. I hope you are enjoying my blog!